Self-Employment - Problem or Solution? HomePoliticsSelf-Employment - Problem or Solution? Congress and BJP spar over Chidambaram's 'pakoda' jibe. In a TV interview with Zee News editor Sudhir Chaudhary, Prime Minister Narendra Modi said, “If someone opens a 'pakoda' shop in front of your office, does that not count at employment? The person's daily earning of Rs 200 will never come into any books or accounts. The truth is massive people are being employed,”. He was talking about the employment picture in India. Taking a jibe at the PM for this remark, former Finance Minister P. Chidambaram tweeted, "Even selling pakodas is a 'job' said prime minister. By that logic, even begging is a job. Let's count poor or disabled persons who are forced to beg for a living as 'employed' people,"
The BJP has accused the Congress and the former finance minister of not understanding the dignity of labour and of insulting the common man by comparing a pakoda seller to a beggar. A pakoda seller is not asking for handouts from a welfare scheme, but rather is working hard for an honest living and providing a service to the society. Comparing such self-employed people and people employed in the informal sector to beggars betrays the anti-people and anti-poor mindset of the Congress, they say. In fact, says the BJP, pakoda sellers may even be earning more than what some of the salaried class may be earning. BJP MP Prahlad Joshi cited the case of a BE grad from Karnataka who gave up his job in the formal sector because he was earning more selling pakodas. Furthermore, this form of self-employment often brings in more revenue than what people under the MGNREGA scheme makes in some states. If those people can be considered employed, then why not the pakoda vendor? India is a nation of 1.3 billion people, and there can only be a fraction of that many job vacancies that can be created in the formal sector. Government institutions sometimes even hire more people than necessary with an eye on public welfare, but it still will not be enough. Thus, self-employment is one of the only real solutions to unemployment in the country and is the path many an industrious common man chooses for a legitimate and gainful living. Small business have traditionally been disrespected in India with little social stature associated with them. While making the statement, P. Chidambaram showed his classism which is a mindset of the vast majority of the Indian middle class. The idea that a pakoda vendor can have the same dignity as someone in "regular and secure" employment remains unfathomable to them. The society doesn't encourage starting business, but rather insists on working for one. But India cannot grow simply by having a large salaried class; growth will ultimately hinge upon its self-employed people, those who shoulder risks and provides service to the country. And a pakoda vendor is exactly that: a small business owner and an entrepreneur. And it is these small-scale entrepreneurs who, means permitting, grow into large organisations. Bikanervala and Haldiram’s too started their operations on a small scale before going big. Today both are large indigenous successful organisations with several outlets and contributing to India's growth. Unemployment leads to destruction of lives and families and also anti-social activities. It is therefore a good thing that many people are resorting to self-employment, which helping them and their families sustain themselves and even grow and develop their businesses. Prime Minister Narendra Modi has often reiterated the need for Indians becoming job-creators rather than job-seekers. It is better for a youth to earn his living selling pakodas instead of being unemployed. By empowering such self employed people, through various schemes like the MUDRA loans, we create more job opportunities for the population. Mr Chidambaram's jab came in the backdrop of the PM claiming in an interview that a person selling pakodas on the street was employed, and was intended to drive home the hypocrisy and complacency inherent in that statement. He further clarified that his remark wasn’t made with the intention of deriding those who resort to the sale of pakodas, but rather, to highlight the plight of India’s youth who, with no other means of livelihood, are being forced to sell pakodas. India's unemployment numbers are smaller than those in other OECD countries. But what is lacking in India is quality of employment. A PhD holder working as sweeper would be also be considered as employed, technically speaking. Further, unemployment rates are calculated on the basis of persons actively working or looking for jobs, and not the full population. The former Finance Minister further added that selling pakodas doesn’t amount to having a job. He cited the ILO definition of a job, which involves a form of regularity in salary and a sense of job security. The abysmally low monthly earnings generally brought in from informal jobs can hardly allow a person to lead a dignified life. A self-employed person is also unlikely to have any social security or retirement cover. 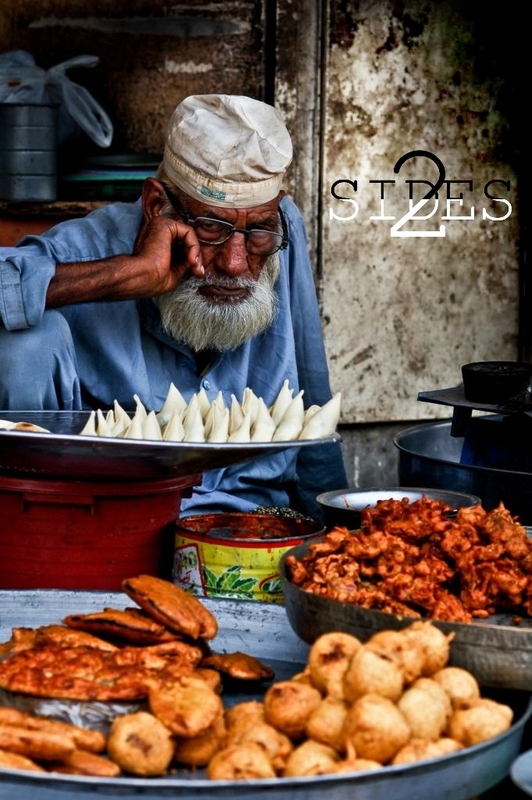 A young man who sells pakodas may be honourably self-employed, but it is common sense that he is poor and will aspire for more, ask him and he will tell you that he aspires for a regular and secure job. The increase in frequency and magnitude of agitations by dominant castes such as patidars, jats etc, as well as by Dalit-OBC groups, demanding for reservations in both public and private sectors is yet another proof of preference for regular jobs over self-employment. Thus the crux of the matter is the severe lack of quality employment in India. 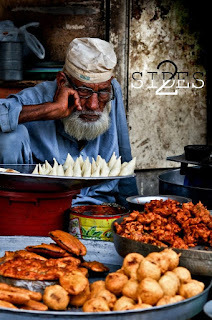 As much as a pakoda seller is essential to the fabric of India, if he or she fails to recieve the opportunity for betterment in prospects via a regular job, especially in a country like Inida where social stature is more often than not determined by the number of zeros in the income, the government has obviously failed in its mandate. And it is precisely this failure that Mr Chidambaram was highlighting. By twisting his words out of context and claiming that pakoda sellers are actually an instance of job creation, the government is blatantly trying to create a facade over its shortcomings with a potent mix of vitriol and rhetoric.